One of the things that turns people off couponing is the idea of rebates. These are traditionally manufacturer offers that require consumers to rip off the UPC barcode from their products and send them in, along with their receipt, in order to receive a check for a certain amount of money. Usually, those checks arrive 8-12 weeks later after processing. 8-12 weeks?! Forget it; that’s torture for our instant-gratification-obsessed society. Theoretically a great idea, but not so much in practice. At least, not anymore. Ibotta, one of the leading cashback rebate apps, streamlines the process by allowing you to submit rebates through your phone. The Ibotta app can be used at more than 500,000+ locations around the country, meaning that chances are good that you’re already shopping at a store where Ibotta rebates are available. CVS? Walgreens? Food4Less? They’ve got you covered. Download the Ibotta app from either the Google Play or App Store. Unlock your rebates and cash rewards in the app before you head to the store or market. For example, if you’re headed to CVS Pharmacy in search of sunscreen, open the app, search “CVS” in the directory, find a rebate for “$1.00 cash back on Coppertone sunscreen,” and unlock it! Head to your store of choice and purchase whatever you need. Scan your product barcodes into the app, and then take a picture of your receipt to upload into the app. Receive cash deposited into your Ibotta app within 48 hours, which can then be transferred into your bank account of choice. Get cash back on your purchases in 5 simple steps! (Well, 4, really, since you only have to download the app once.) 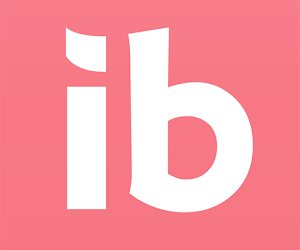 The best part about the Ibotta app is that its rebates don’t interfere with other forms of savings you can use, like clipped coupons or in-store promotions. So, to go back to that Coppertone sunscreen example, if you find an applicable coupon for $1 off, you can stack the two together; you’ll get $1 off in-store from the coupon and $1 in your pocket from the Ibotta app. Pretty cool, right? Ibotta also has the ability to link to loyalty accounts that you might already have at your favorite stores or retail locations, and also allows you to unlock cash back rewards on mobile in-app purchases. Instructions on how to do both are very easy to follow, and can be found on Ibotta’s website. Now that Ibotta, and other apps like it, have made using rebates a breeze, what on Earth is holding you back? Get out there and get saving! Next Offer: Save Hundreds on Hotels By Using This Hotel Search Site!